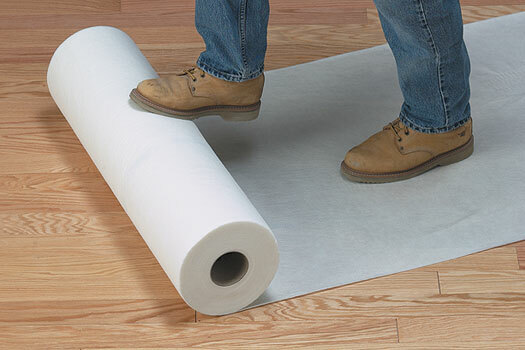 Surface Saver rolls are environmentally friendly, reusable surface-protecting rolls that can be used to protect flooring, furniture or other items that could be damaged during construction, maintenance or other work. Unlike paper or plastic protectors that can typically be used only once and discarded, SURFACE SAVER rolls can be used many times over, thereby protecting the environment and reducing waste. SURFACE SAVER rolls are 2-mm-thick, providing padding to protect against damage from falling tools while being flexible enough to drape over stairways or countertops. SURFACE SAVER rolls – made from 100 percent recycled material and can be recycled as well – are 3.2-ft-wide and 32.8-ft long, covering 107.6-sq-ft.